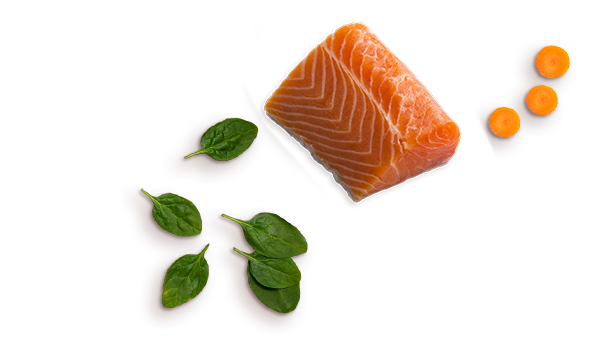 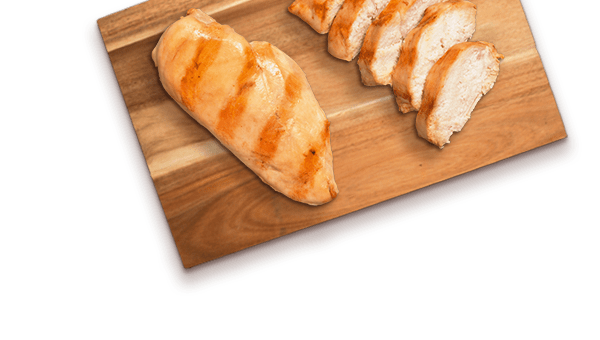 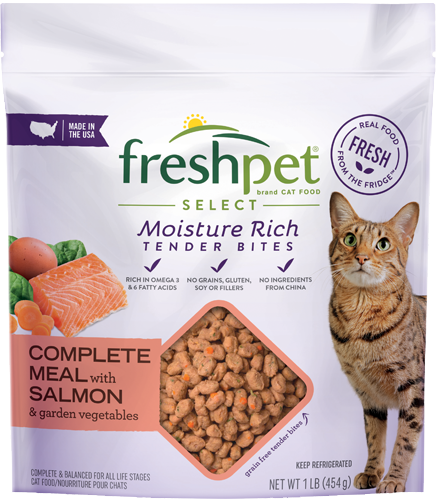 Tender bites made of fresh chicken and salmon accented with crisp carrots and leafy spinach that your cat will love. 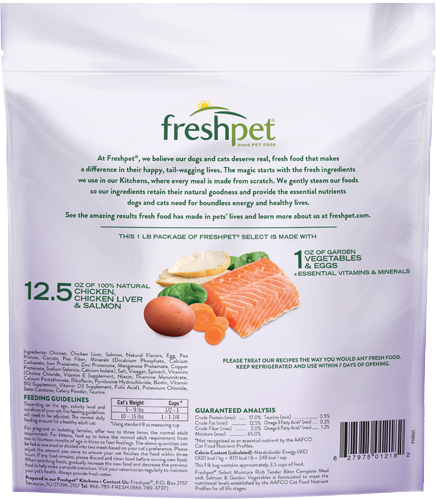 Comes in a convenient, resealable bag to make serving quick and easy. 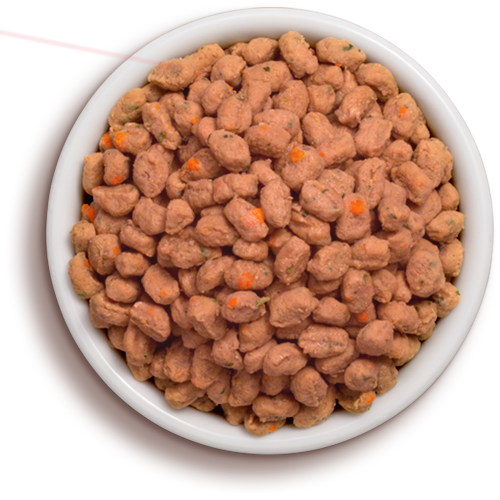 Chicken, Chicken Liver, Salmon, Natural Flavors, Egg, Pea Protein, Carrots, Pea Fiber, Salt, Vinegar, Spinach, Potassium Chloride, Beta-Carotene, Taurine, Celery Powder.